Summary: During the 9th annual Atrial Fibrillation Awareness Month, StopAfib.org spreads awareness and shares vital information about this potentially life-threatening condition. For the 9th annual Atrial Fibrillation Awareness Month, StopAfib.org was part of a collaboration with American Heart Association to raise awareness of afib through a billboard spot in Times Square. We also named new members to our Global Medical Advisory Board and have been publishing the videos from our 2015 National Atrial Fibrillation Patient Conference. We are also proud to have been the creators of Atrial Fibrillation Awareness Month. Read more about these initiatives in today’s Afib Month press release. DALLAS, September 29, 2015 — From the bright lights of Times Square to hearts of atrial fibrillation (afib) patients throughout the world, StopAfib.org has made a difference by increasing awareness of this potentially deadly condition. During September, which is National Atrial Fibrillation Awareness Month, this leading afib non-profit organization has several campaigns to further spread the word about atrial fibrillation. From September until November, a Times Square billboard will display a message from MyAFibExperience.org, a website co-created by the American Heart Association and StopAfib.org with support from Janssen Pharmaceuticals. 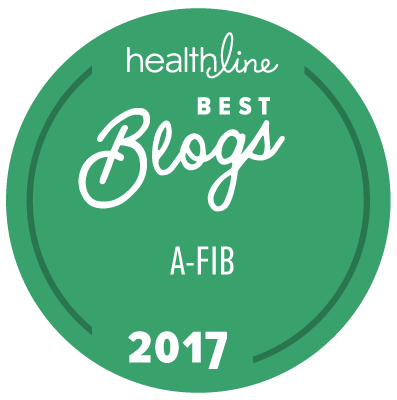 The 10-second message explains that those with afib have a five times greater risk of stroke and encourages those with afib symptoms such as racing, pounding, or skipping heartbeat to consult their doctors. The billboard is at 43rd Street and Broadway, across the street from the NASDAQ MarketSite. The StopAfib.org Global Medical Advisory Board provides a sounding board to help StopAfib.org appropriately convey information about diagnosis along with current and future atrial fibrillation treatments. Throughout the year, StopAfib.org hosts many events, including the Get in Rhythm, Stay in Rhythm National Atrial Fibrillation Patient Conference. During these conferences, afib patients and their families can learn essential information about the condition from internationally known atrial fibrillation experts present. If afib patients can’t travel to a National Atrial Fibrillation Patient Conference, they can now view this vital, timely information at StopAfib.org. Twelve hours of video presentations offer a wealth of topics, including what is afib, treating afib with medications, avoiding strokes, partnering with your healthcare providers, catheter ablation, surgery, and decreasing risk factors through managing lifestyle. In 2007, StopAfib.org founder Mellanie True Hills created National Atrial Fibrillation Awareness Month. In 2009, the U.S. Senate officially declared September National Atrial Fibrillation Awareness Month. Now in its ninth year, the month is also a chance for healthcare providers to conduct related health fairs to screen for the condition.